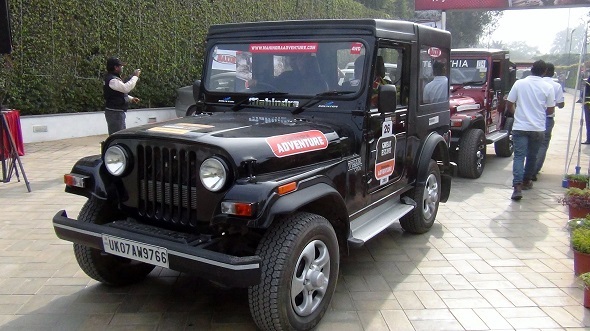 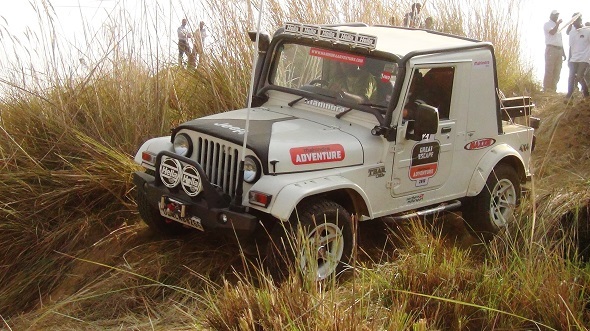 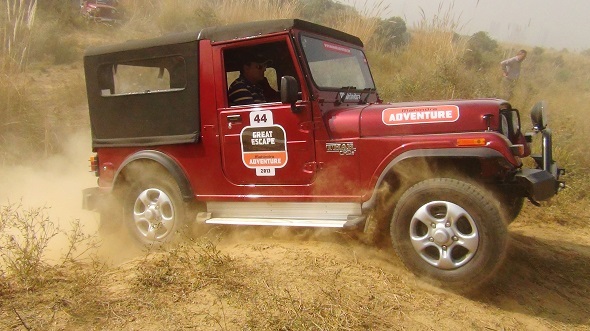 Mahindra Adventure, a division of Mahindra & Mahindra, has successfully managed to rope in off-road enthusiasts from around the country in the past few years, to take part in its Great Escapes. 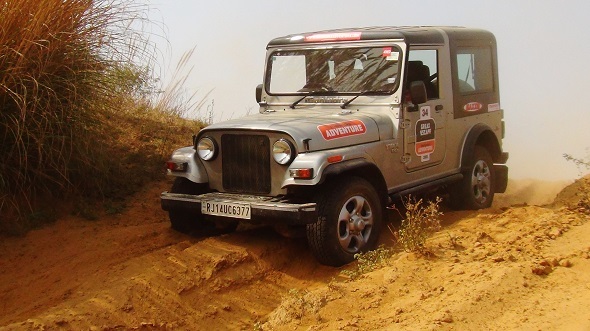 Now in its 108th event, the Mahindra Great Escape is seeing an increasing number of off-roaders, thanks in a large part to the Mahindra Thar, which now completely dominates the offroading scene in India. 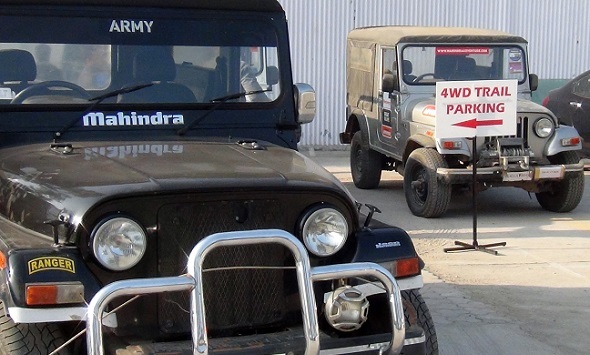 To put things in perspective – Mahindra earlier used to have a 2WD category and 4WD category, and used to get a 50% mix of vehicles in each. 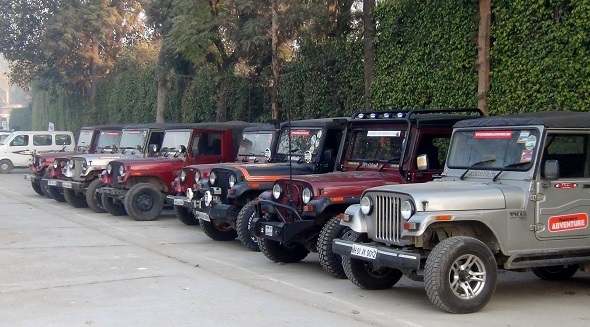 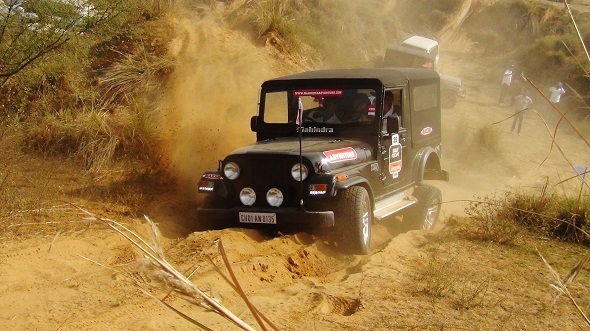 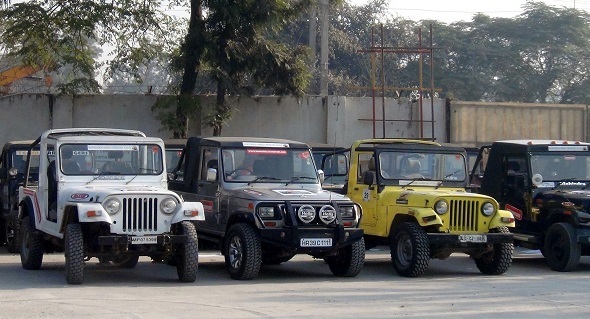 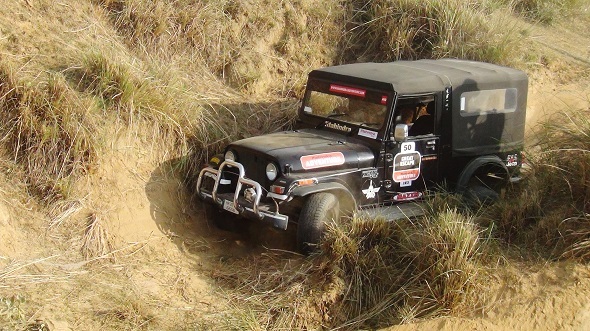 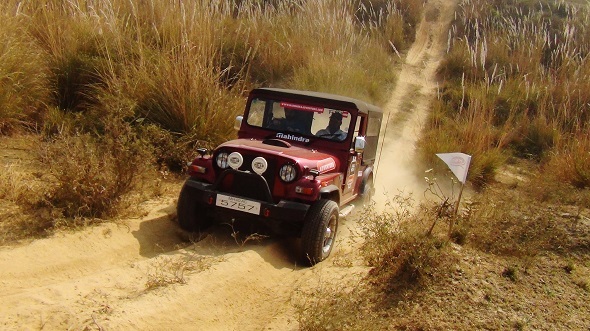 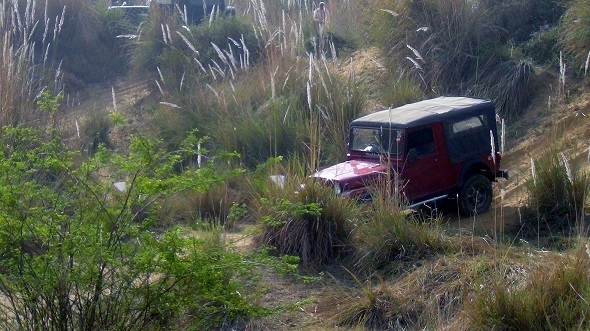 But now, 98% of vehicles are in the 4WD category – so much so at the Gurgaon Great Escape organized recently there were only two 2WD vehicles out of 52-odd entries. 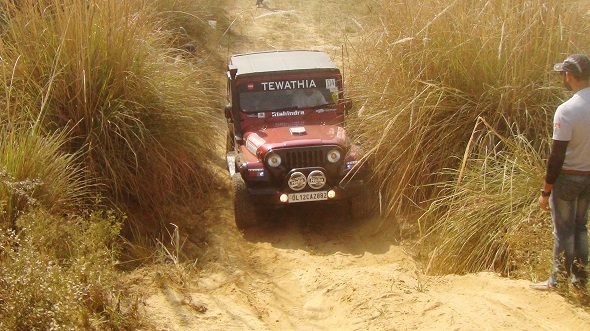 Also see: Want to learn off-roading? 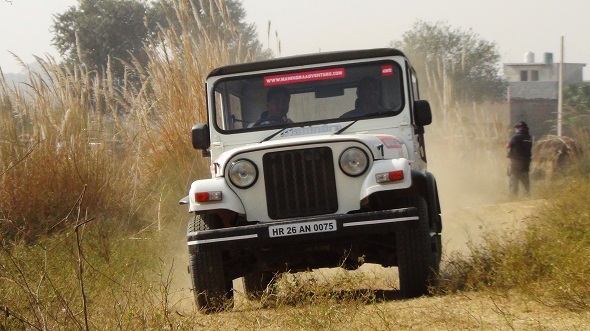 The drive was split into two parts – the Trophy Challenge, where seasoned off-roaders vied with one another for an Off-Road challenge trophy and the Adventure drive, where 4WD enthusiasts could take their four-wheel drive Mahindra vehicles and test their limits. 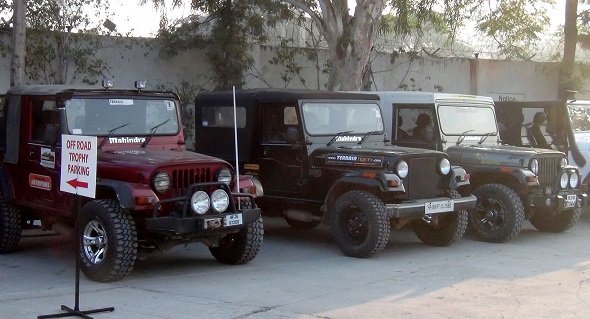 Most of the vehicles were Mahindra Thars, while a few were older Mahindra 550s & 540s, as well as a couple of CJ3B and Classics. 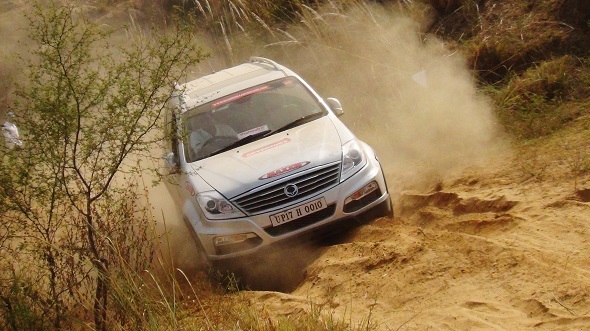 There was also a single 4×4 Scorpio and an all-wheel drive automatic Rexton in the mix. 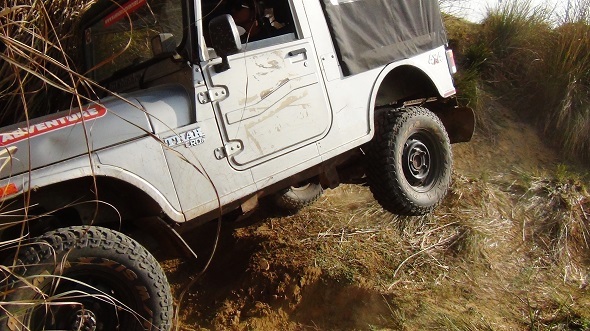 Needless to say, the Mahindra Thars completely dominated the day and made light work out of the pretty challenging terrain and obstacles.